A psychologist’s job is a lot different from how it appears on TV. Listening to and diagnosing people’s problems or appearing as an expert witness in high-profile court cases may sound glamorous, but it’s not. As a psychologist, 99.9 percent of your daily responsibilities have nothing to do with appearing on television or getting quoted in magazines. Discover the 10 things you need to know if you’re considering psychology as a career. The internet offers a wealth of accurate, concrete information as to the time it takes to become a licensed psychologist. But it cannot be understated just how long 10 years can feel. If you are an 18-year-old high school graduate who is dead-set on becoming a licensed clinical psychologist, you must first undergo four years of college as an undergraduate followed by another five years as a graduate student in a doctoral program. After you receive your doctorate, you face one more year of postgraduate training/internship and another extended period meeting the supervised experience requirement: a 10-year total commitment. While many of your friends will have long since entered the working world and started earning a comfortable living, you, on the other hand, will still have your head buried in textbooks, scraping together a living as a teaching assistant or intern. However, keep your focus on the bigger picture: The rewards are plentiful, and the money eventually will come if you stick with it. Read about the 50 Best Jobs for Psychologists. Furthermore, students must pay attention in these classes, because as a professional, these math skills are vital. Statistics, in particular, is integral to any experimental science. If a psychologist doesn’t have a firm grasp on statistics, he or she will not be able to extract useful, impactful conclusions from experiments and studies. To determine the importance of their research, psychologists use statistics to quantify it. However, note that some branches of psychology rely less heavily on mathematics than others, but math is required coursework in every graduate psychology degree program across the country. Almost every psychologist, therapist or psychiatrist receives this advice at some point in their studies, and it makes sense. As a psychologist, you encounter a host of different problems from people from all backgrounds and ages, and becoming involved in their lives is inevitable. If you take those problems home with you, however, it can affect not only your life, but the lives of the people close to you. Not getting involved is good advice, but if you possess the compassion and empathy necessary for the job, it is nearly impossible to heed it. When a small child sits in your office and describes life with his parents as they struggle with substance abuse, you instinctively may want to reach out and hug the child. This is a natural response, and it simply means you aren’t a machine. But it is also crucial that you don’t blur the lines between work and home, both for the people around you and for your patients. Your patients deserve an impassive, analytical observer. You will likely deal with dozens, if not hundreds, of patients during the course of your career, and each will have serious issues or disorders. You must apply your training in a rational, scientific manner in every case. Achieving a healthy work‒life balance becomes a daily struggle, and it’s something that, as a psychologist, you will need to be constantly aware of. It took years of struggle with this issue before it finally became natural for me. Even now, my heart breaks when patients tell me stories of abuse or personal struggles. But you must remain strong to be effective at your job. During your undergraduate years, you can major in psychology, mathematics or some sort of science. But when you begin to consider graduate degree programs, you must have an idea as to the type of psychology you want to study. Students who head to graduate school with plans to study “psychology” still have plenty of opportunities to become clinical psychologists. But in graduate school, no one studies “psychology” as a major. Become a psychologist by focusing on a specialty, such as cognitive psychology, behavioral psychology, mathematical psychology or even fashion psychology. Not all graduate degree programs in psychology are created equal, however. Many will have particular focal points within the degree program, and some will have specific degree programs for niche subjects in the field of psychology. Formulate a concrete idea of the particular branch of psychology you want to study. Not doing so could mean waking up one day to realize you have wasted a year in studies that won’t advance your career path. When I first embarked on my psychology career, I envisioned sitting in a big, comfortable chair behind a wooden desk, while my patient lay on a couch describing his sleeping problems or weird dreams. And if you are a traditional psychologist, you indeed may experience this type of scenario. However, you can find employment in a variety of settings. Big corporations hire psychologists to help the businesses’ employees learn to communicate better internally. Sports teams employ psychologists to help with the team members’ motivation and self-confidence. Engineering companies use psychologists to help the company build more efficient and safer products. And, of course, universities hire psychologists to help teach and train the next generation of psychologists. When I began my studies, my teachers (most of them psychologists) helped open my eyes to the vast world of psychology and how it has infiltrated all aspects of life. So, if you are dismissing the idea of becoming a psychologist because you don’t want to go into private practice and deal with other people’s personal problems, understand that a psychology profession is still available to you. Admittedly, I probably should have known this. But when, after five years of practicing psychology in California, I decided to move to New York, I thought I could just apply for licensure in that state using the credentials I already held. I was wrong. Complete reciprocity doesn’t exist between every state. Additionally, state-specific requirements sometimes differ greatly, even if you hold, as I did, a Ph.D. in Clinical Psychology and a distinguished professional record of accomplishment. Instead, I had to fill out more paperwork, take additional classes, jump through seemingly senseless hoops and, of course, pay additional fees to get my psychology license in New York. The moral of this story: Do your homework and have a plan. If you are thinking about transferring to a different psychological profession or moving to another state, first do your research. Check with the American Psychological Association, and search online for the requirements. It will save you time and hassle if you are prepared beforehand and know what to expect. Even though it’s important to choose a specific career track within psychology and to narrow the scope of your interests within that subject, it doesn’t mean that a specialization gives you a better shot at getting a job. Extensive research and knowledge in one subject area are incredibly beneficial, but you also need a well-rounded resume. If all your internships have been in the neurology wing of hospitals, for example, don’t expect employers to be impressed. 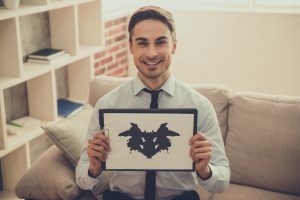 In fact, the type of employers who hire psychologists are usually more excited by someone who has sought out and excelled in many different areas. Not only does proficiency in a number of areas demonstrate intellectual curiosity, but it also indicates flexibility and an ability to excel outside of specialty areas. For instance, baseball teams love athletes who have excelled at baseball their entire lives, but they are also intrigued by players who exhibit mastery of many different sports. It means the athlete is imminently “coachable.” Psychology and many other professions are similar. A friend’s father, a psychology professor at a large research institution, advised me to get published as soon as possible to help promote myself and gain more opportunities. Unfortunately, this advice was not the best. That strategy may have worked for him in the academic world, and it may work for many others. However, when I first began to hunt for a job, multiple interviewers told me that my extensive publication list was “too academic” for the clinical position they were trying to fill. Even though they were impressed by my ability to write and were impressed by my knowledge, they also wondered how I would succeed in the fast-paced environment of a hospital or clinic. They questioned my ability to pivot quickly and solve unexpected problems. It may be unfair of hiring managers to compartmentalize potential candidates in this manner, but it quickly became a pattern in interviews. I had to adapt. Of course, the opposite is also true: If you have clinical experience only and have never published, it is just as easy to be pigeonholed in that area. A bachelor’s degree in psychology is one of the most popular college degrees in the country. Literally hundreds, if not thousands, of students graduate every year with a degree in psychology who have no interest in becoming a psychologist. So, if your ultimate goal is to become a psychologist, you must pay closer attention. This fact also translates to crowded freshman-year introductory lectures with 100‒400 students in them, depending on the size of the school. To stand out in the crowd, you have to work especially hard. The ability to get one-on-one support from your professor practically may be non-existent, and you may be tempted to “coast” toward your degree without putting too much into it. However, students are wise to study hard and focus. Mindlessly cruising through your undergraduate years may mean getting lost in graduate school. Acquiring a bachelor’s degree in psychology is difficult; it requires young 18‒20-year-old college kids to demonstrate dedication, maturity and initiative. When those students get to grad school, they will have the luxury of smaller classes and almost infinite professor availability. By “things,” I mean money. The job search can be daunting for many new professionals, and for aspiring psychologists, it’s no different. Many students accrue loans to finance the long educational journey, so finding a job that pays well isn’t just important; it’s essential. Fortunately, clinical psychology pays well. Most college students leave school with the expectation and hope of earning an annual between $50,000‒60,000. However, most first-year clinicians begin with a salary of $100,000. Some clinical psychologists start with a salary closer to $150,000. It may have taken eight to 10 years of school to earn it, but that’s a good salary by anyone’s estimation. And, as you progress through your career, it only gets better. However, note that non-profit work typically means lower pay, while clinical psychologists in private practice have almost limitless financial potential.